It is worth checking out the other ones too. I have several friends who have started buying and playing LEGO recently. 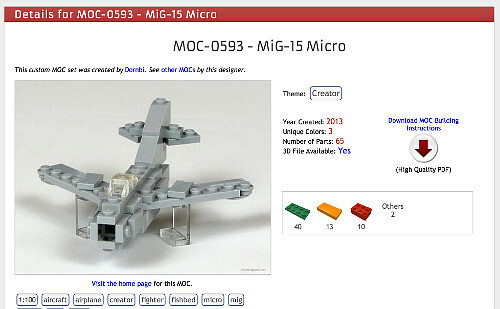 Assume you are one of them: you have bought a few sets, built them, built the B-Models too and you find it cool. The obvious question is: what next? You can buy more and do the same. Apart from financials, there are other bottlenecks: you will have to store them somewhere. And unless you are one of those LEGO Investors, this is going to become a problem. So besides buying more, what other options do you have? Let's take a look. 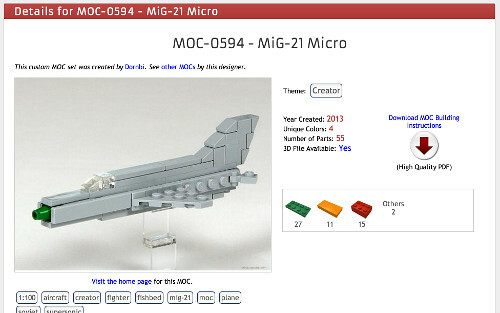 Some of the options is biased towards Technic, but I hope non-Technic fans can also get some starting points. Rebrickable. This is a site for people to share their creations. While it is not necessarily easy to navigate, the best thing about this site is that all creations have building instructions available, so this is a great way to get started. (Yes, some instructions cost money, but many don't.) For many creations you are able to download an LXF file that allows you to investigate a virtual model in Lego Digital Designer. The good old Brickshelf is probably the oldest site doing that. Mocpages is a bit more modern, but has good content too. Finally, the most vibrant place is certainly Flickr. Yes, I know, Flickr sounds a bid oldschool in todays Web many-dot-o world, but that's how things are. A good way to start is picking an interesting community and browse around. For example LUGNuts is all about cars, or this group is mostly about aircraft. The unoffical LEGO Technic Builder's Guide from Sariel explains you how to do suspensions, gearboxes and all sorts of LEGO Technic magic. If you are wondering about non-Technic magic, The Unofficial LEGO Advanced Building Techniques Guide is a free download that sheds light on some of the magic. Hispabrick is a free magazine that is available in English, with really good content. Railbricks is all about LEGO trains. Premium content too. BrickJournal is something you have to pay for. But it's only a few bucks and really worth it. TechnicBRICKs is a blog you may be interested in. 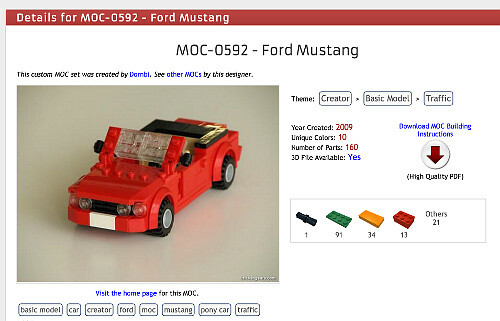 It is mostly about LEGO Company products and specacular Technic creations. 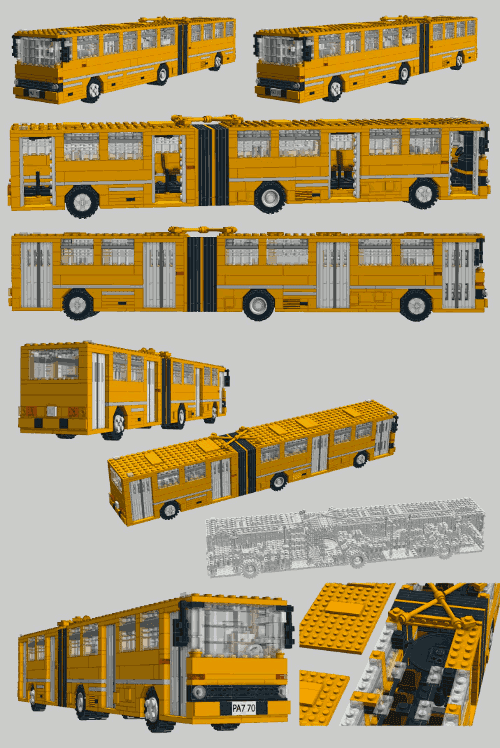 On the other hand Technicopedia is the encylopedia of our childhood's favorite Technic sets. There are probably 1000 others that I have left out, but I am sure these will get you started. I had a plan was to share some of my own creations. 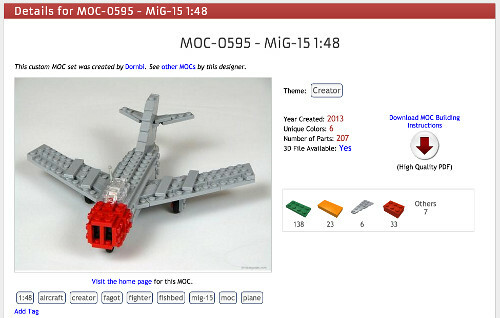 In my opinion Rebrickable is a really great site to do this, so I started uploading. Luckily the past few days gave them just enough time do review all the stuff, so here they come. The instructions have been made with Digital Designer so they are not the best of my artistic career, but they contain just enough to build the models.